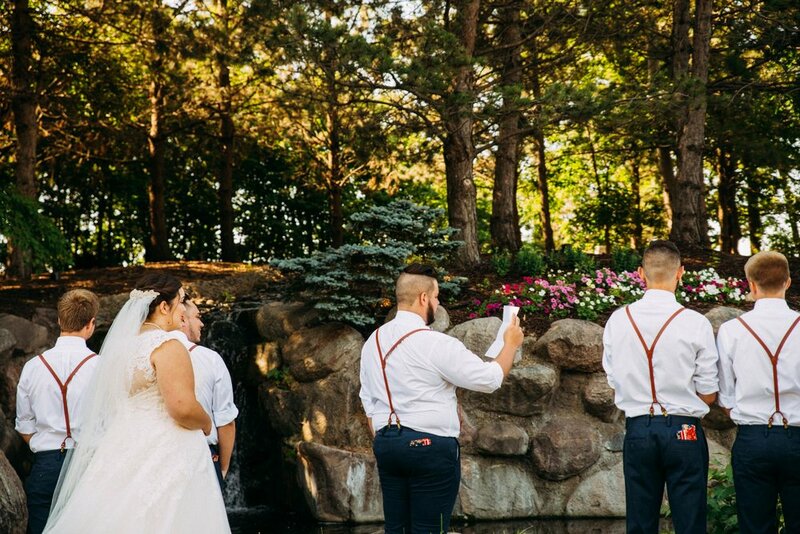 We're suckers for weddings that are the start to a good love story. 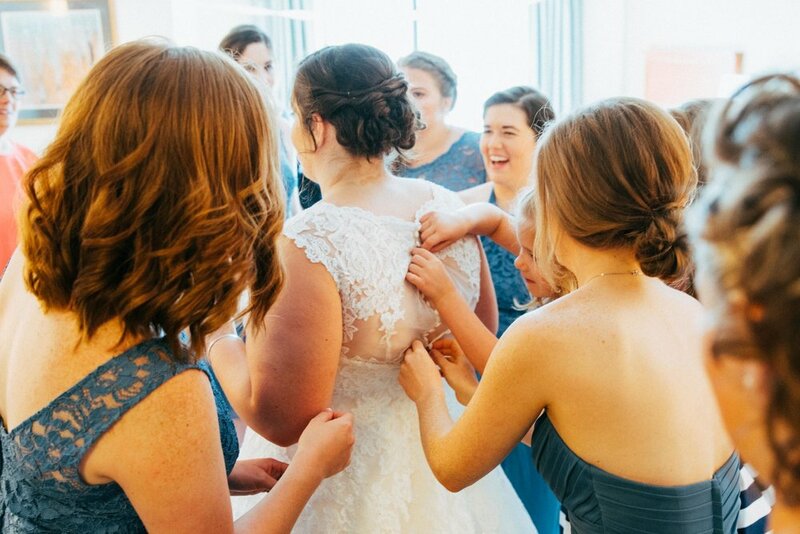 Beth & Sam's wedding is just that! 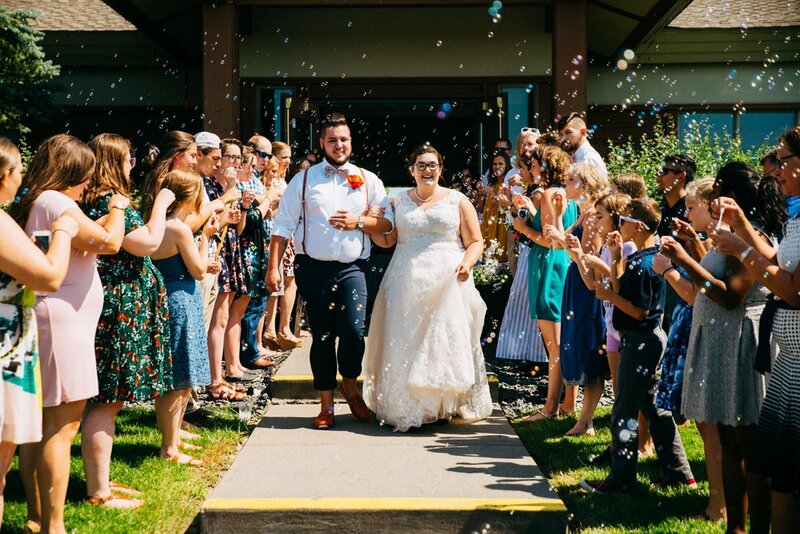 The happy couple met a few years back through Youth Encounter, an organization that used to send out teams of five to six young adults for a year to lead worship, build relationships, and share the Gospel across the country. Beth was on a team when she met Sam, who had just signed on to join a team for the year after. Going into a crazy year of volunteering, Sam was looking for advice. They started talking about everything...including relationships while on team and Beth flat out told him that team is not about dating or finding your wife, it's about focusing on God's call for you that year and sharing His love with the new people you're meeting everyday. Basically, she said that he shouldn't date on team. We all know how that went though... 5 months later, they were officially dating! 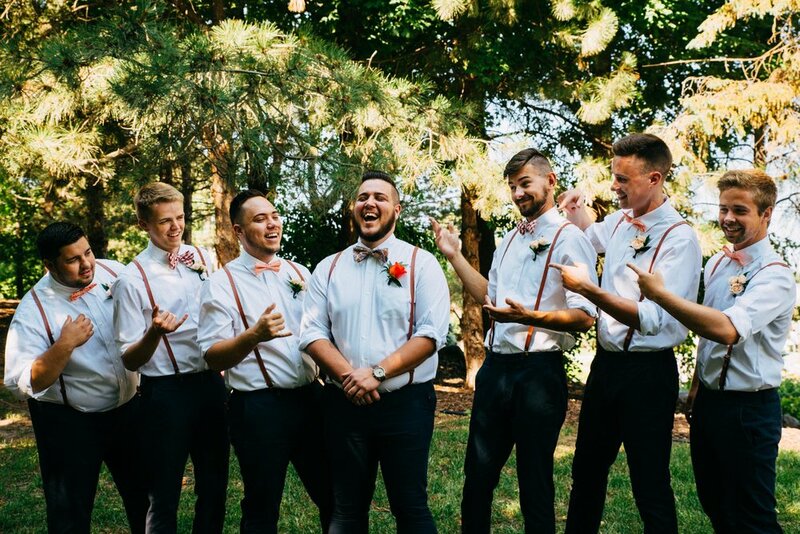 After being long distance across various parts of the US, they eventually attended the same college and were able to enjoy being together in the same place. 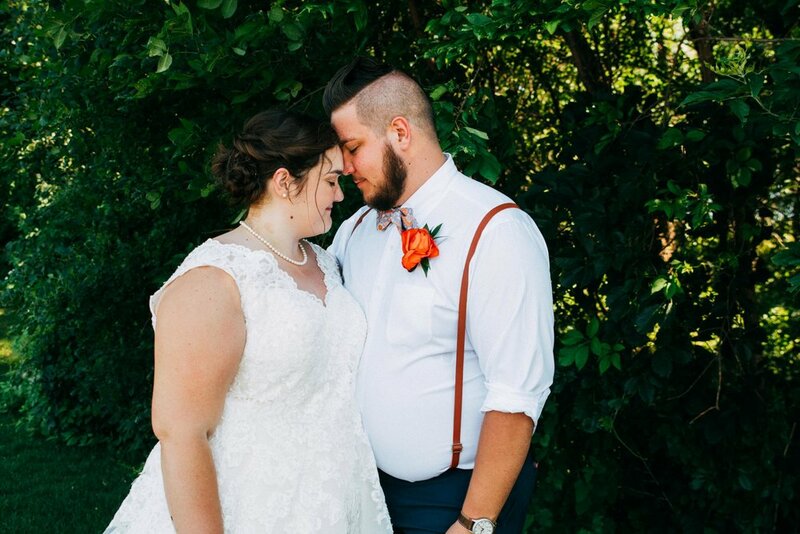 With their trust built strongly in their faith, they knew it was time to make the jump to marriage. 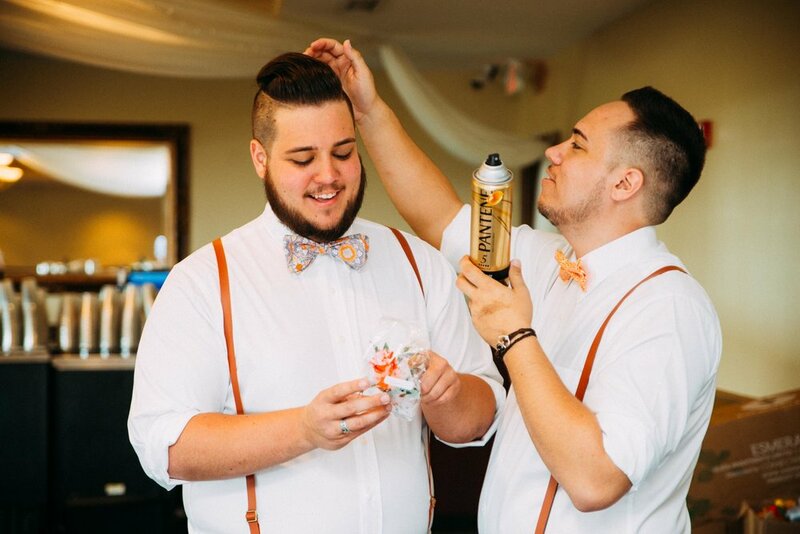 Their wedding was filled with many details that reflected their story and their lives together. Just before seeing each other for the first time on their wedding day, Sam read a letter that Beth had written for him - such a beautiful moment! In the beautiful woods surrounding The Wilds Golf Club, we enjoyed the morning sun with their wedding party! 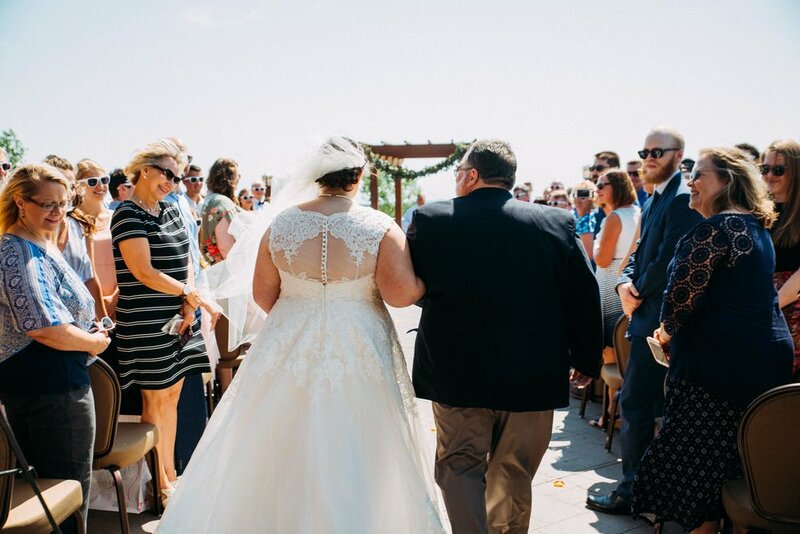 With their foundation of faith, they took communion with their friends and family before beginning their ceremony. 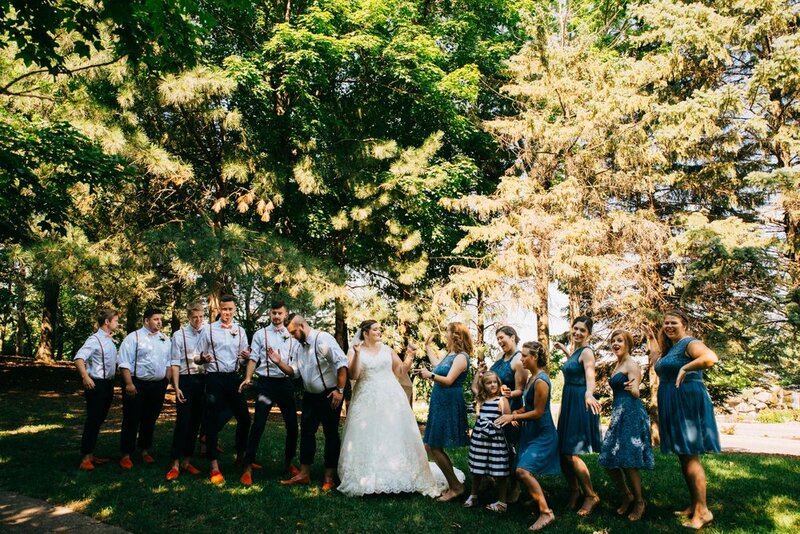 We loved all of the details at their wedding - fun florals, hand-painted Toms canvas shoes, and delicious donuts! 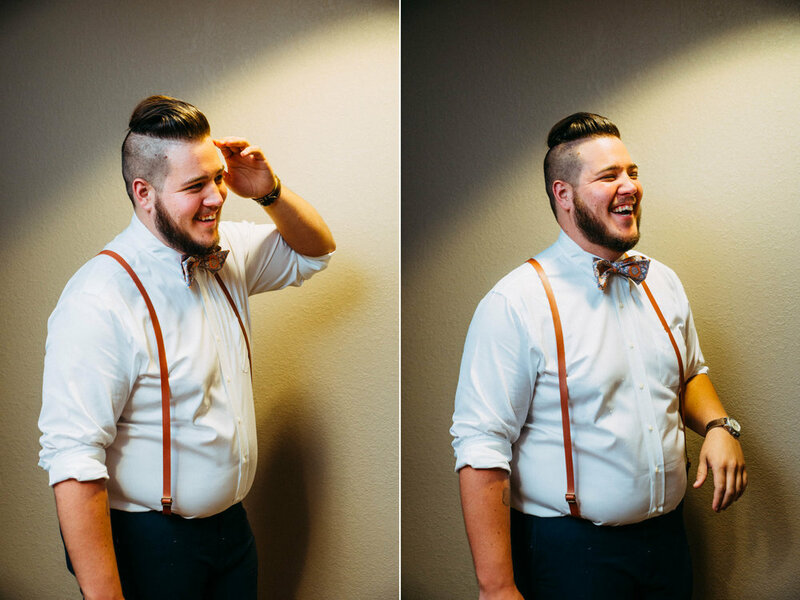 And we can't forget about their gorgeous bride & groom portraits! 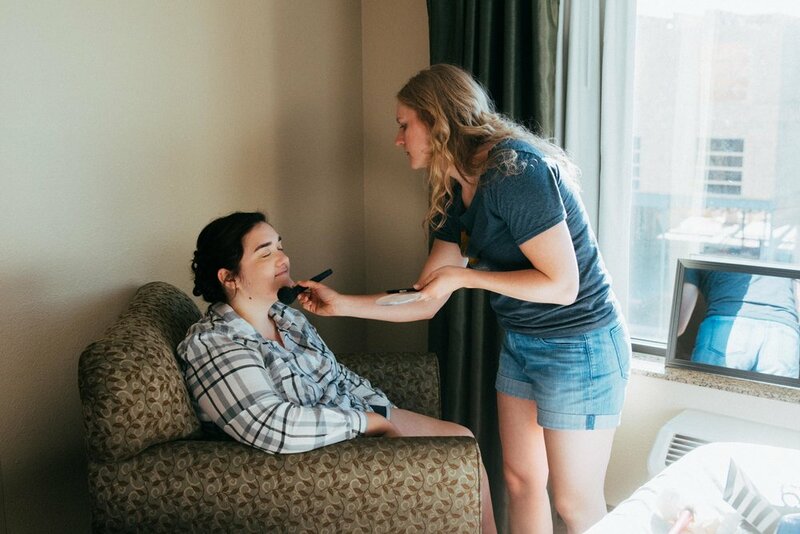 One of the wonderfully unique parts of Beth & Sam's wedding was the time. They had a ceremony early in the day, brunch, and just a smidge of dancing. 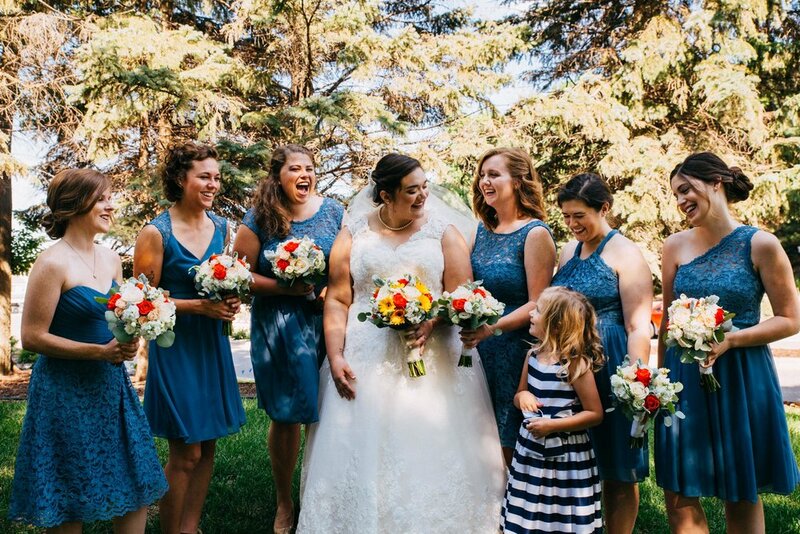 While a lot of people may not be all about a shorter wedding day, we loved it! 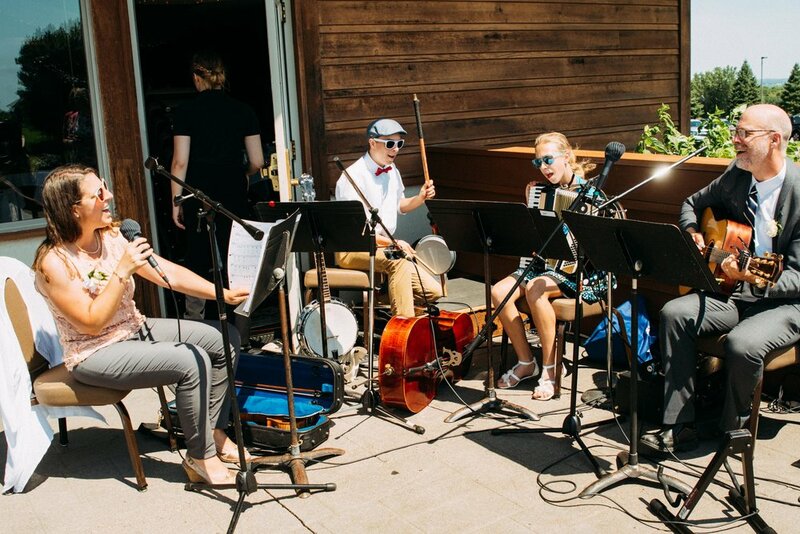 The idea of not being completely exhausted by the end of your wedding day and being able to use your energy actually interact with your guests during your reception is such a great idea! 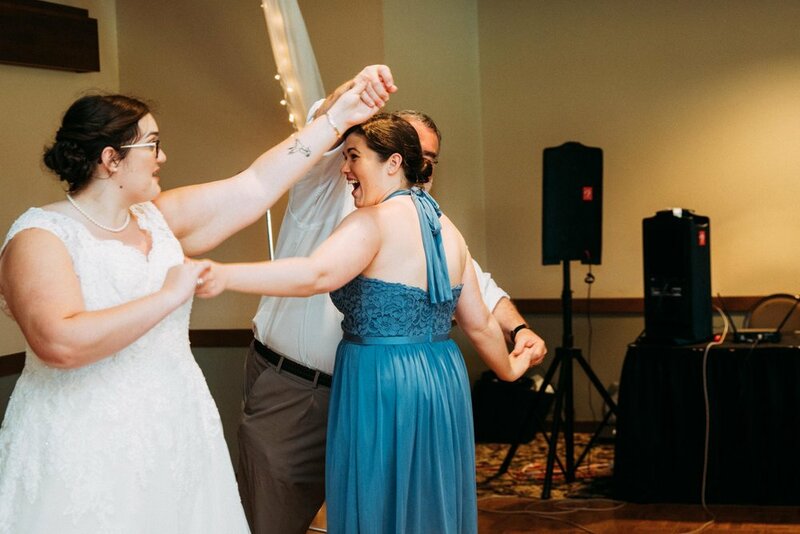 Another fun part of their reception was their father/daughter and mother/son dances! Beth & Sam included a twist we hadn't seen before. About halfway through the father/daughter dance, they invited up ALL of the fathers and daughters to come up and dance. They did the same for the mothers and sons! We're always suckers for some good dancing photos! At the end of their reception, Beth & Sam were whisked away through bubbles and into their fabulous get away car!